Clyfford Still. photo: Clyfford Still Archives. Commissioned by Playground Ensemble. This work uses texts and quotes from the painter's personal notebooks and correspondence. It paints a musical portrait of the artist, showing not only his unrelentingly independent pursuit of his art, but also moments of uncertainty, introspection, and tenderness. Read and listen more about this piece on Colorado Public Radio's podcast HERE. Clyfford Still’s artistic language embraces a vocabulary from the figurative to the highly gestural, and from the representational to graphic and abstract. Many of these visual features have correlations in music and sound. 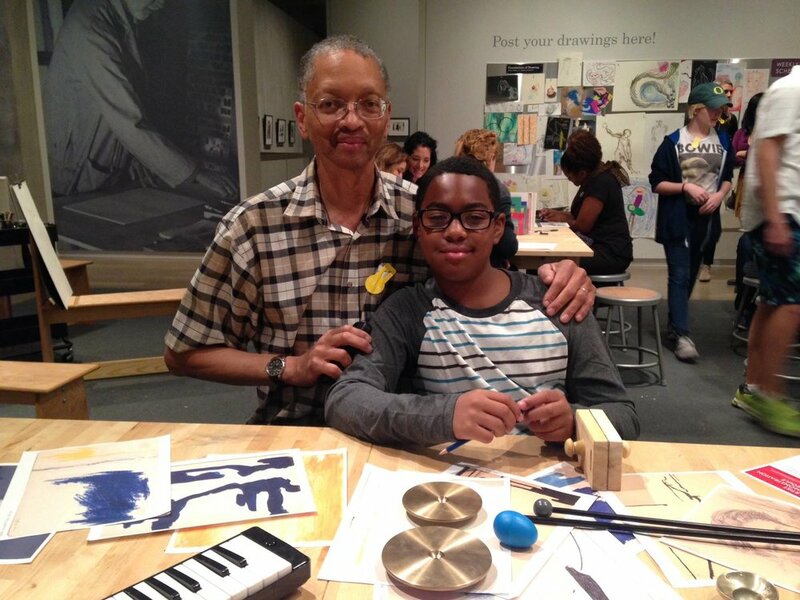 Based on these ideas, I held workshops to create a series of short musical compositions derived from “musical material” created by visitors in response to the art on view in Clyfford Still: The Works on Paper. A collaborative “sonification” of 20+ works on paper, visual elements like color, texture, size, and gesture were translated into musical elements, creating a sonic portrait of the works on view. The music was then performed in a live “walking tour” in front of their original artworks. A stereo electronic work created from the original tape recordings of Clyfford Still playing piano, and the Still family's 1955 tape recorder. Still was an accomplished musician and this new work uses in particular his recordings of Handel's 'Harmonius Blacksmith'. Commissioned by Archives as Muse to engage artists with primary source material in Colorado's archival collections.